Sip some of the country's best plonk while soaking up views of sugar gums and 'roos. The Barossa Valley's rolling, winery-filled countryside has scored a sleek new addition, in The Villas — a secluded, luxury retreat championing environmentally responsible architecture. Two thoughtfully designed structures have made their home in the quaint town of Marananga, an hour's drive from Adelaide, on the site beside owners Grant and Cathy Wills' historic former schoolhouse. Each of the standalone eco-villas boasts a warm, minimalist feel, the spaces kitted out with a plethora of luxury trimmings — think, queen-size beds fitted with French linen, wifi, fully-equipped kitchens, and rainwater showers and soak tubs. All topped off with views across the one-hectare of private property (yours to explore) filled with sugar gums, eucalypts and — often — 'roos. The work of Sydney firm Stephen Sainsbury Architects, the villas are a South Australian first. 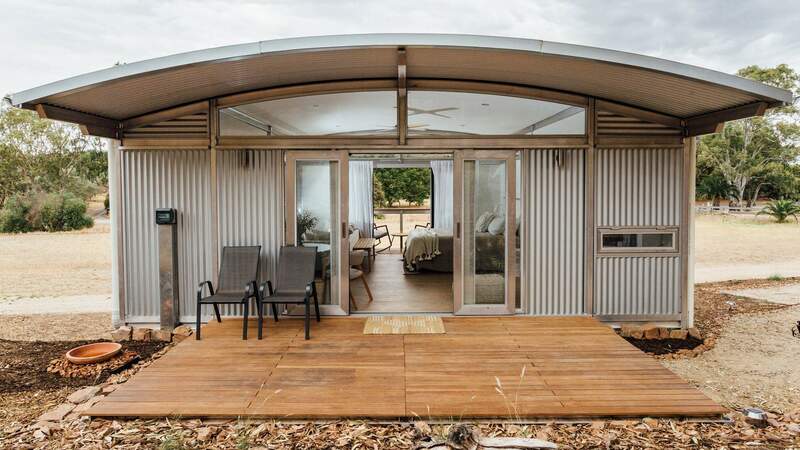 They're constructed using a minimal impact and environmentally sustainable system called "Ecoshelta", which has been used to build off-the-grid retreats across NSW and Tasmania. 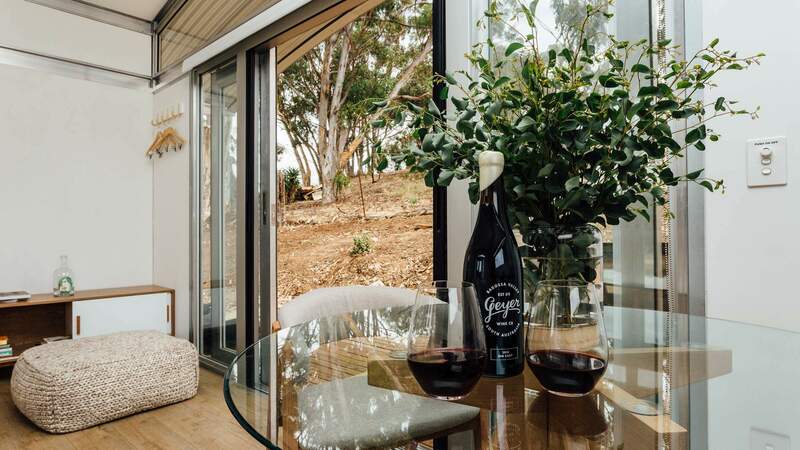 This retreat is also a prime basecamp for any winery hopping adventures, perched within walking distance of no less than five local cellar doors, not to mention the famed Seppeltsfield Road Distillers. With more than 150 wineries in the region, you certainly won't be short a good glass of plonk. A stay at The Villas starts from $385 a night with a two-night minimum. Price of the stay includes a complimentary breakfast made using local produce. Find The Villas at 468 Seppeltsfield Road, Marananga, South Australia.